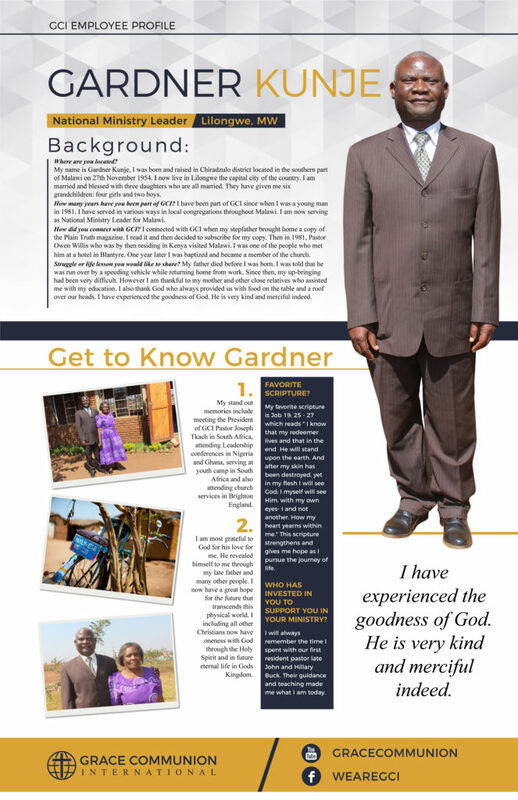 Click on the image below to meet Gardner Kunje, GCI’s National Ministry Leader in the African nation of Malawi. Glad to meet you, Gardner! Do much appreciate your service in Christ. It sounds like you had quite a challenging life. God keeps shaping and polishing us through our experiences to His honor and glory. Thanks for being willing to hear His voice. Greetings Pastor Kunje! I am honored to know you personally and grateful for all you do!! Greetings to you and all our “family” in Malawi!